Can I Mix Mineral Makeup Foundation With A Moisturizer? It is always recommended for the best results, to use an excellent silicone free moisturizer and its derivatives (dimethicone, cyclomethicone) before applying our mineral foundation. And you never need to wait until it is completely absorbed like with all other mineral makeup brands on the market. In fact you will enjoy improved results. In just minutes, the time it takes to brush your teeth, you can begin putting on your mineral powders because our botanical ingredients combined with the minerals in our unique formulas is what makes it possible to do this, and sets us apart from others. Most mineral makeup which is high in mica and bismuth oxychloride make it impossible to apply right after a moisturizer. Typically the waiting period is about 15 minutes otherwise they will stick and cause a blotchy appearance, requiring a lot of excessive buffing to blend out the mineral powders. We use very little Mica, NO Bismuth Oxychloride and it is the reason for our simple application without a caked appearance even if you get too much on the brush or the face. It is the 'goof proof' mineral makeup. For the most part we don't typically recommend mixing our mineral cosmetics directly into your favorite moisturizer because of the ingredient profile of our mineral foundation. With other brands, Mica, Bismuth Oxychloride and the main minerals, Titanium Dioxide and Zinc Oxide, are a very basic formulation of many mineral cosmetic brands. These are not absorbent and offer no oil or moisture control. This is why with other brands of mineral formulas can be mixed easily into a moisturizer and is also the main reason women experience "melt out" by days end or requires many touch ups throughout their day. They basically become nothing more than a colorant to the moisturizing cream, much like a BB cream or tinted moisturizer. Our mineral makeup formulas have rice powder, methicone and boron nitride included, and in two of our formulas we added kaolin clay as well. Perfection is achieved the easy way with fabulous and lasting results by simply applying directly to a freshly moisturized face. The blend of ingredients used are designed for a smooth, soft feel to the skin, oil and moisture control, and to give skin a flawless, luminous, lasting finish. It is due to these functioning properties why mixing a FULL application of minerals directly into a face cream will cause them to have a less than desirable finish on the face. They can also be too heavy in coverage and difficult to apply evenly, yet they function incredibly well when applied using the method below. 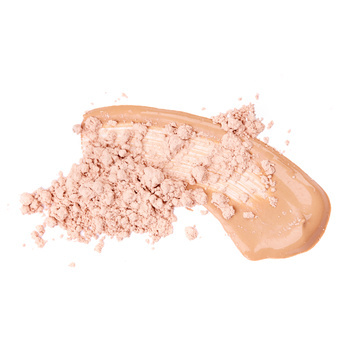 Exception To the Rule: Creating a tinted moisturizer requires much less powder, and the success with this was shown by a customer / esthetician with excellent results, including great correction of her rosacea. Victoria Guillot Tutorial on creating a tinted moisturizer! Full Application Mimicking Liquid Foundation For Best Results: Apply another application of moisturizer after your initial one is absorbed. 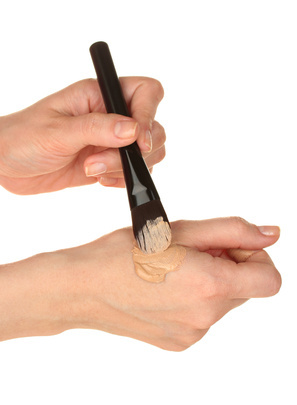 Follow up with applying your mineral makeup foundation immediately and enjoy how the minerals will meld flawlessly to your skin, becoming one with your face for flawless coverage, similar to a liquid foundation less all the synthetic junk that is added. Your skin will be protected from trans-epidermal moisture loss throughout the day. That's it, you're done and looking GORGEOUS! Best part of this type of application is your skin will never be left feeling tight, dry, or chalky. Another reason why women of mature years LOVE our cosmetics since they can be placed on the skin in a single dip of the brush, holding fast to your moisturizer, yet remain blendable without caking. The ease of use cannot be duplicated by any other formula and is exclusive to our brand. You will have the most natural, long lasting finish compared to any others you may try. Side Note: Use one of our ONATI facial creams for the lighter tint. Moisture Care, Rejuvenate and Calm And Refresh face creams are all fantastic for this task, or use Grecian Secret Body Souffle which was the cream of choice for our customer / esthetician.